Yes this is my first season being supported by the Dave Rayner Fund. ve always been riding bikes, but i've been racing since I was an u14. As an u16 and Junior I rode for Chris Walker's RST Racing Team, then as I stepped into the u23 ranks I joined British Cycling's Academy programme which was run by Keith Lambert. I had a successful 2015 and 2016 with BC, but now I've chosen to take a new path and base myself abroad with my new team. 2017 is SEG Racing Academy's 3rd year running now. 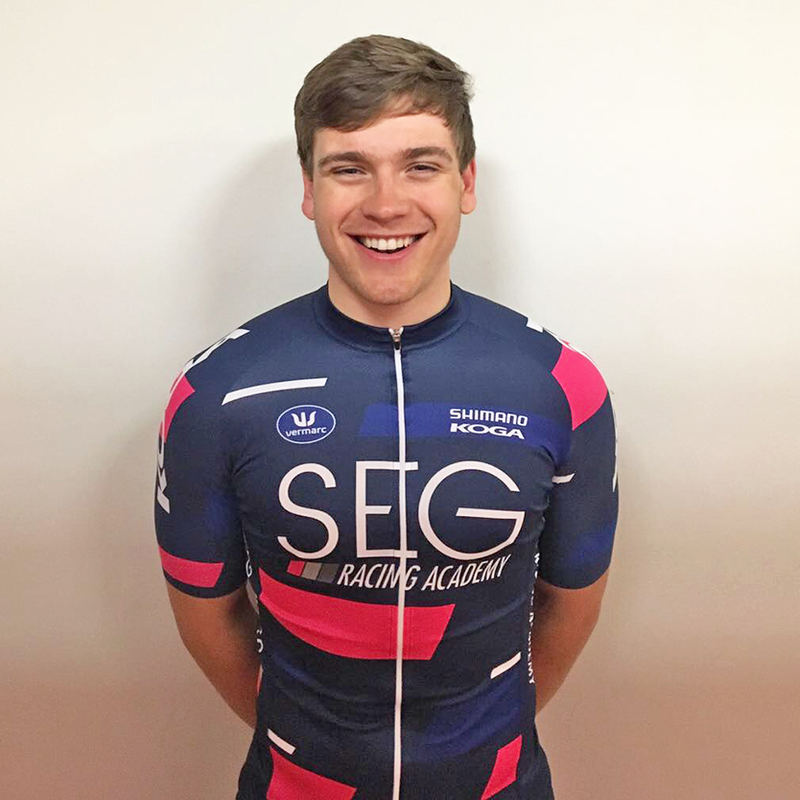 SEG is a UCI rider agency, and the guys there decided it would be cool to setup a development team to help give talented amateurs support, guidance and opportunity to help them make the step up to the professional ranks of cycling. They have had a very successful first two years, so will see what 2017 brings! Exactly what I joined the team for - plenty of races in Northern France, Belgium and the Netherlands! Starting with a couple of one day races in the coming weeks before the infamous Tour du Normandie, which I'm really looking forward to! The calendar for the team looks really great, and will be found on their social media pages very soon. Bikes are Koga Kimera's fully equipped with Shimano groups and wheels. Our kit is made by Vermarc, but the socks are made by a sponsor called Feder Mut who make customisable socks. Helmets provided by Bell. Music, we do a lot of travelling so the headphones are on quite frequently! I like to make sure I spend as much time with friends and family as I can when I get the chance as I'm away for the majority of the year.